After we stuffed ourselves she took us to her woman cave . It is her whole basement and her hubby only gets one small corner. She showed us her knitting machines, embroidery machine, her kiln, her potters wheel, her egg cutting station and all of her other hobbies. Patty told me she had not shortened the sleeves on the sweater yet so I told her I would do it. I decided to document this so that if you ever need to do it, don’t fret, it is very easy. 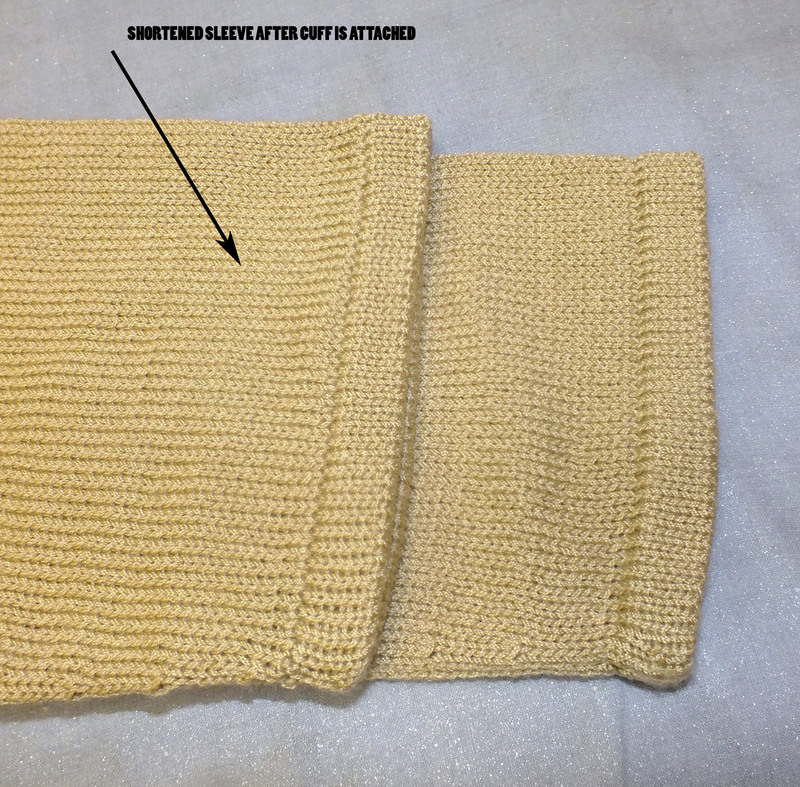 I just had a small hem on the sleeves but if you have ribbing you can do it the same way. Then you would re hang the sleeve and attach the rib. If you don’t like a bound off edge on the inside you could rehang the sleeve stitches and take off on waste yarn and then Kitchener stitch the cuff to it. You can also do this on a sweater length. Maybe you have a long style and don’t want it long anymore. Or you made it from cotton and it is stretching too long . I would encourage all of you to try it once on a tension swatch just to see how easy it is and not to be afraid to try it. If you are using acrylic you might want to lightly steam the stitches where you are going to remove the hem so that the stitches don’t unravel.